Note: This information, released April 13, 2009, has been updated. There has been a lot of conjecture that iPods would draw in Windows users, converting them en masse to Apple PCs. Indeed, many non-Apple households have iPods, but, by definition, they have no Apple PCs. There are also non-Apple households that have portable MP3 players from iPod’s competitors, such as Microsoft’s Zune. 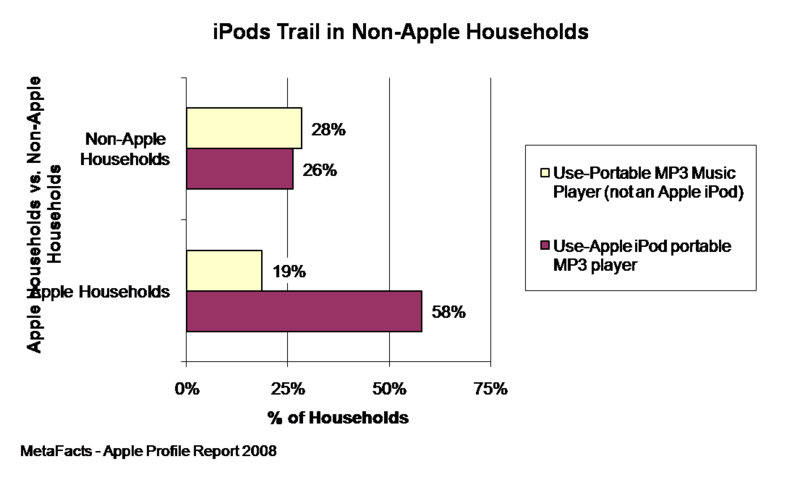 Over one-fourth (26%) of non-Apple Home PC households have an Apple iPod, only slightly trailing the 28% that have other portable MP3 players. Among Apple Home PC households, the gap between iPod and its competitors is significantly wider. Apple commands 58% penetration of iPods among the faithful, while non-iPods have entered one-third as many households, at 19% of Apple Home PC households. Looking ahead, the seventh-ranked consumer electronics product Apple households plan to buy is an Apple iPod. However, among non-Apple households, this item is ranked 23rd, with only 7% of households saying they plan to buy an Apple iPod in the coming 12 months. 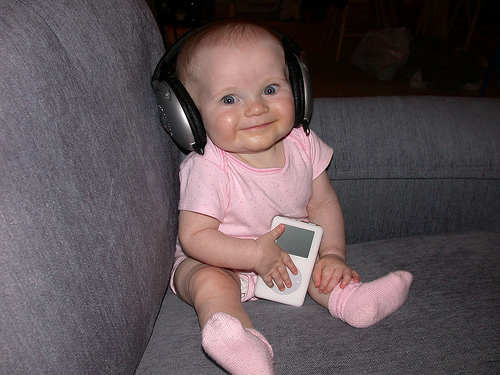 One in nine (11%) plan to buy a portable MP3 player of any brand.